Darn, too slow! 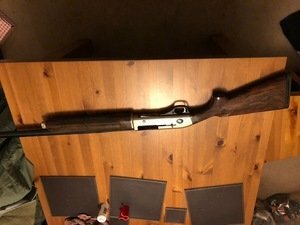 This Franchi has already gone! I'm selling my 712 Raptor as it's not getting used anymore and I'm waiting for my Section 1. Very light with variable piston for light and heavy loads. Never had a problem with whatever loads I used. Comes with original case and two chokes one of them extended.